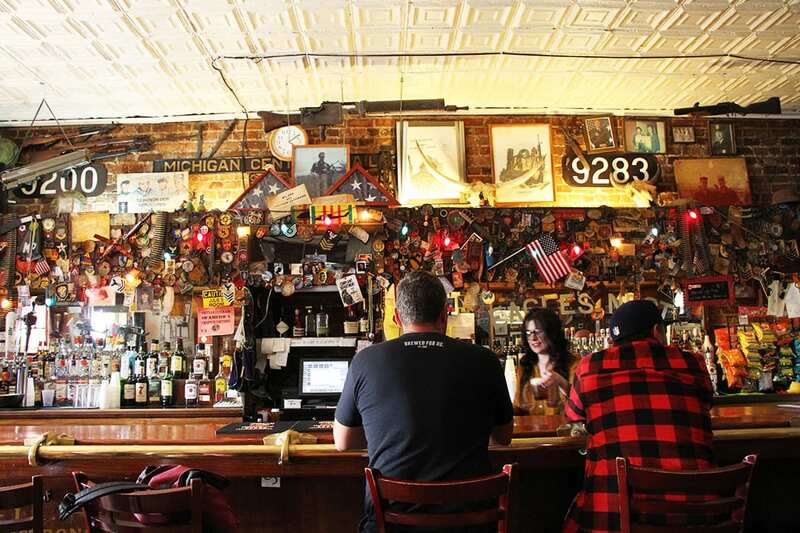 The bar has comfortably endured as the neighborhood has started to revitalize (walk down the street and you’ll run into Jack White’s Third Man Records, a Shinola outpost, and breweries like Jolly Pumpkin and Motor City Brewing). And as the area has grown, the clientele has also changed. 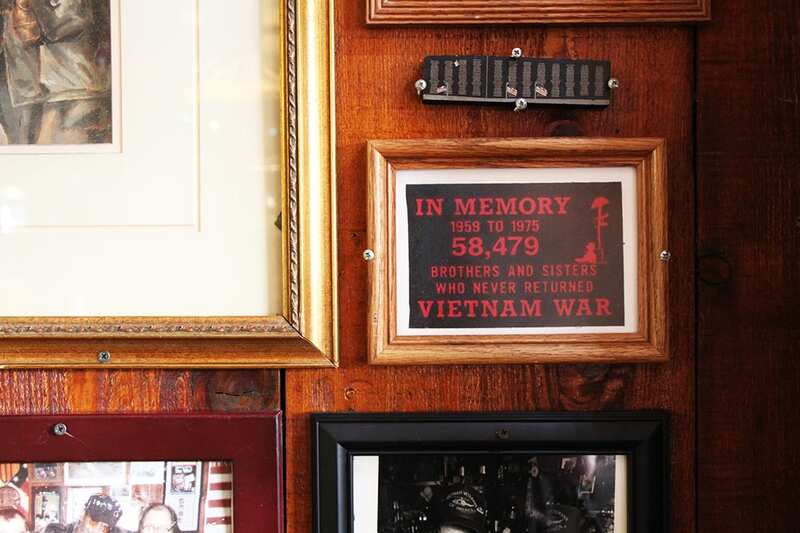 In addition to serving its original community of veterans, the bar now also attracts locals of all ages, from older vets to bar industry types, families and musicians. And like the best dives, music plays a prominent role. In addition to the requisite jukebox, the bar has booked concerts for decades, earning the title of “CBGB’s of the Midwest.” The stage isn’t much to speak of—in fact, you might miss it if you aren’t looking for it—but the unassuming space has hosted acts as large as Patti Smith, The Allman Brothers and Iggy Pop, in addition to smaller local bands. The bar’s stronghold in Detroit’s music community is only dwarfed by its other main draw: an enormous back patio. A collection of rickety, rusted patio furniture grows out of the grass as if it’s always been there, and in addition to garden gnomes and obscure art installations, a large koi pond and bonfire space help create an easy-going backyard vibe. “It feels like you’re going to a high school graduation party back there. It’s massive,” says Giacomino. Denver’s favorite taco shop fires up their Mary mix with an added dose of habanero heat.